We were so happy to see the Family Is collection by Bo Bunny in our store. The colors are bold, the patterns are fresh and new, and the embellishments had us laughing for hours! These group of photos coordinated perfectly with the collection. You'll notice Creations Galore manager, Lori, there with her husband. 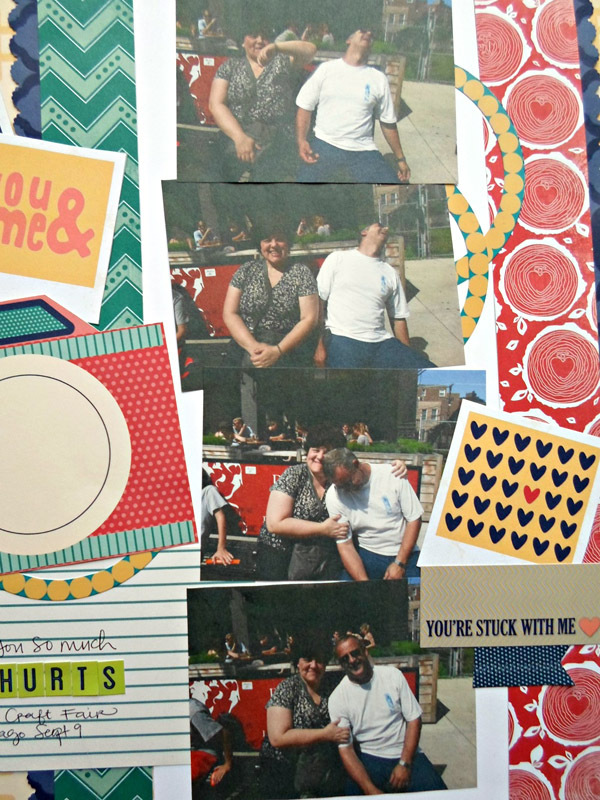 The embellishments on this page are a combination of cardstock stickers and cut outs. 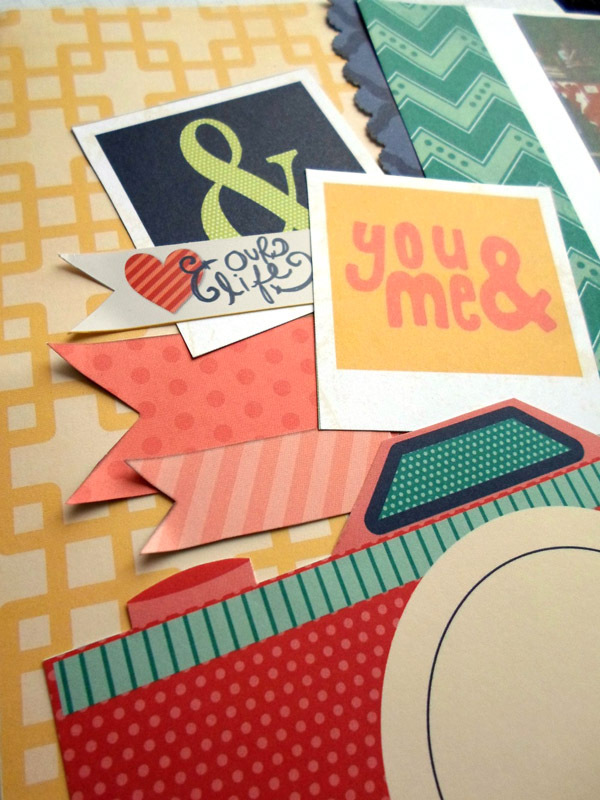 There are several 12x12 double sided papers in this collection that are full of cut outs. 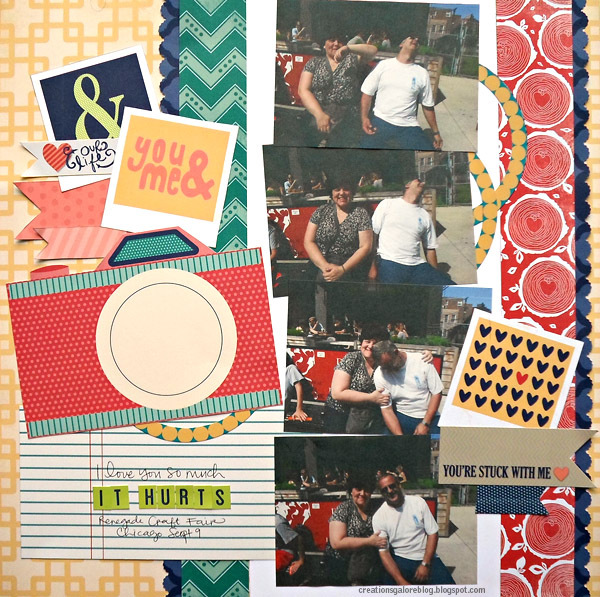 Stop into Creations Galore at 3164 Coronet Way in Green Bay, Wisconsin to see the full Family Is Collection and start documenting all of your family memories.